Retailers are failing to pass on fuel savings to motorists as the price of petrol remained unchanged in October despite a drop in wholesale costs which should have been passed on at the pump. RAC Fuel Watch data shows there was a 3.5p fall in the wholesale price yet unleaded started and finished the month at 130.6p a litre. 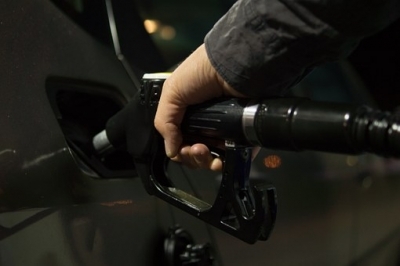 This means the average cost of filling a 55-litre family car with petrol has stayed at £71.84 when it should have been nearly £2 less (£1.92) had retailers done the right thing and reflected the lower wholesale price on the forecourt. Even though conditions were perfect for a petrol price cut from the middle of the month the big four supermarket fuel retailers – which play a vital role in setting the market for fuel prices across the UK – refused to lower the price for drivers. It was not until the end of the month that Asda finally reduced unleaded by an average of 2.4p across all its forecourts. But this has sadly not led to other retailers following suit by lowering their prices and has therefore had little effect either on the average price of unleaded at the supermarkets, or on the UK average. The average price of petrol at Asda, Tesco, Sainsbury’s and Morrisons actually increased by 0.6p a litre in October (126.88p to 127.48p) despite the drop in the wholesale cost. Diesel, however, suffered its fourth consecutive monthly price increase, rising by 2.38p from 134.50p to 136.88p, making the cost of a 55-litre tank £75.28. Buying it at a supermarket saves 3p a litre with the average price standing at 133.67p a litre at the end of October, having risen 2.35p from 131.32p. RAC fuel spokesperson Simon Williams said: “Every motorist driving a petrol car should feel aggrieved that the price of a litre stayed the same in October when it should have fallen by more than 3p. The biggest retailers who are responsible for selling the most fuel have taken drivers for a ride. “In doing so they have inadvertently but categorically proved that ‘rocket and feather’ pricing does exist. Had wholesale costs increased at the same rate the supermarkets would have passed these on at the pump straightaway just as they did in April and May this year. “Unfortunately, other retailers that don’t buy wholesale fuel as frequently are just as guilty as they have now had plenty of time to cut their prices. They were, more than likely, waiting for the supermarkets to lead the way, but this surely isn’t a valid excuse. “So while there are times when fuel pricing in relation to wholesale prices does operate transparently, sadly October just wasn’t one of those months.